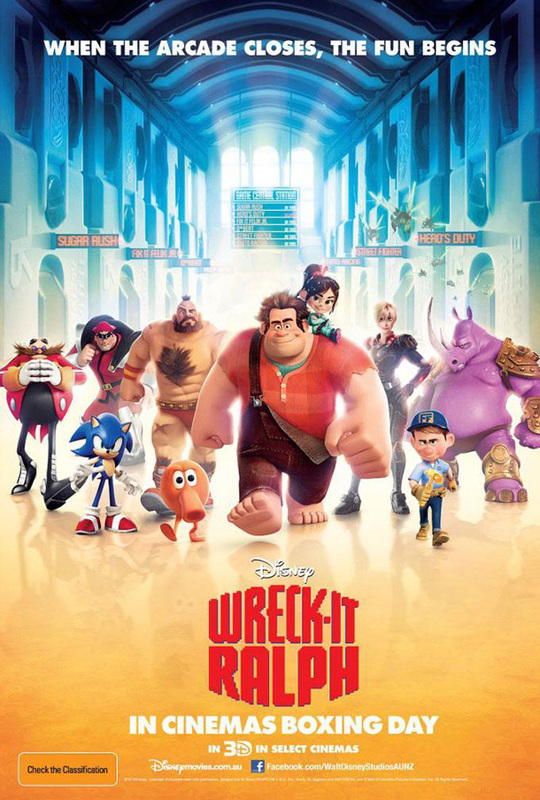 I wasn't much of a gamer, but watching Wreck-it-Ralph made me nostalgic for those old video games. If you are a gamer, then you're sure to enjoy all the references and cameo appearances. But even if you're not, this is a great feel-good animated movie. I wasn't surprised to see John Lasseter's name listed in the credits as Executive Producer. Because this movie about an unlikely hero definitely has heart. 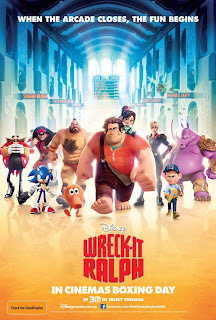 John C. Reilly's titular character is tired of being reviled as the villain in his game, "Fix-it-Felix" (Jack McBrayer). He sets out to prove that he can be the good guy by traveling to another game, exterminating cy-bugs in "Hero's Duty". Sgt. Calhoun (Jane Lynch) is the leader of these soldiers. In his quest to become a good guy, Ralph ends up in "Sugar Rush". This is a racing game ruled by a tyrannical King Candy (a zany Alan Tudyk). There, our protagonist meets another outcast, Vanellope von Schweetz (a perky yet sensitive Sarah Silverman). Vanellope is a good racer, feisty, but shunned by fellow Mean Girl racers because of her glitches. (She pixelates due to problems in her code.) The two become friends and allies. It is in this candy land themed game that Ralph finds out what it truly means to be a hero.